I'm on a top sewing binge. It's been tops, tops, tops for the last month. I see inspiration everywhere. A top I saw on QVC a couple of months ago inspired this one. 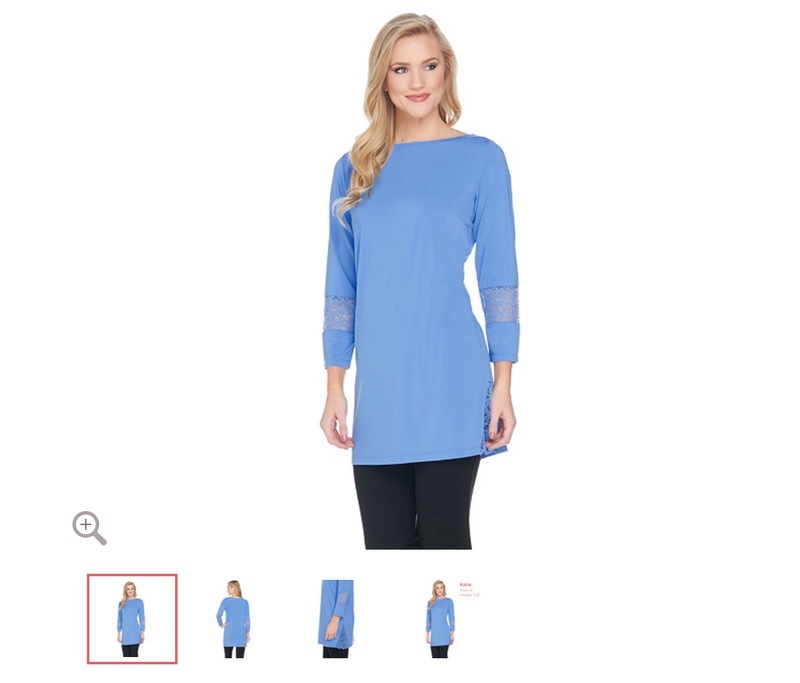 This top reminded me of my versions of Simplicity 8094 and I've wanted another one in a black ponte. The inspirational garment moved this version to the top of the queue. The ponte and the pleather are both from the collection. I used the pleather in this garment in 2013 and the ponte is from my last purchase from Metro Textiles. Since I used the godet in the last two versions there wasn't any change made to it. Though, instead of inserting it from the hipline down, I put it in the entire side seam. That made it a really interesting feature of the new top. It also means that the top will have to be washed on delicate and hung to dry because the pleather can't go in the dryer. I did make a change to the original sleeve to insert the pleather to mimic the inspiration top. It was simple. I just cut the sleeve and inserted the pleather on either side. Since I was sewing over a "holey" piece of pleather, I added a 5/8" strip of black silk organza over the pleather piece. Then I stitched through the piece when stitching the sleeve's side seam. This insured that the pleather piece was stabilized and gave the stitches a solid piece to hold on to. I've loved wearing my other versions of this top and I'm sure I will love wearing this one too. It works so well over my leggings, skinny jeans and regular jeans. It just works. So I will probably make more in the future. Don't know when but fall will come again so I will use the pattern then ~ that's a lot of "I wills" LOL! There is another top on the cutting table ~ it will be up soon. Gorgeous top and love your adjustments! Everything about this is perfect and oh-so-very cool. So cute! I love your creativity. Uh huh! That's right! You go cuz your top is EPIC! I like, the lace inset in the inspiration photo but it does NOT compare with yours! Pleather cutout fabric was a great design choice. I LOVE this top, well done!! Totally chic. 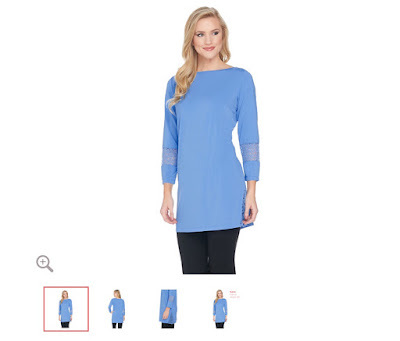 An awesome elevation of a basic top to fashion forward design. Ace! I've been on a top sewing kick lately too...mine have been shirts. bdejong - I've made a few shirts also but they have a lot of steps. Every now and again you just need a quick knit top! Love the top and love how creative you are. Inspirational. great interpretation of that RTW top. really nice and you are on a roll with tops! Love the look, love the attitude, and love that it is both very NYC practical and chic. I also love that the photos show you looking confident, happy and wonderfully/beautifully "real", which is harder to find in the blogosphere these days. Mimi - that's cause I'm not a model. I just play one in front of my fireplace! *LOL* Though my daughter who reps models/DJs & makeup artists is constantly critiquing my photos! This is so cool! I want one just like it! Boom! You've hit that one straight out of the park for a six! Very lovely and so creative! bea-u-ti-ful!! very nice! I am in the middle of a nightgown binge. #7 in the works. Is it the weather? Love the black on black design choice. Tres chic! And absolutely loving your action shots. Make the top look even cooler! Looks really great, I love the pleather details. It's great that you actually do something with your inspiration pictures, I just stick mine on pinterest and then forget about them! I have loads of pictures too! *sigh* And I pin everything with the intention of trying to sew it or reproduce some detail. As you can see I make 4-5 things a year. I don't think that's a great batting average! *LOL* Thanks for the liking the top! You look like a million bucks, and its obvious you FEEL good wearing your new top - congratulations on a great finish! I love this top! It's feminine, but also has a little edge to it. What a nice top! Makes for a very sophisticated outfit. Your design inspiration for the pleather was brilliant! You look great and having fun with the photo shoot. BTW, I really like your hairdo with bangs! Very cool top Carolyn. I love all the design details and the black on black. Chic and elegant - beautiful! Apparently I need to read your posts a bit more carefully! How did I miss the side godets? That fabulous! Thank you for continuing to use RTW to inspire turning your TNT patterns into something fabulous for your Chicos Chic lifestyle. I love all of it and want to incorporate many, many of your garments into my closet. Meet me at Fabric Mart on Friday!